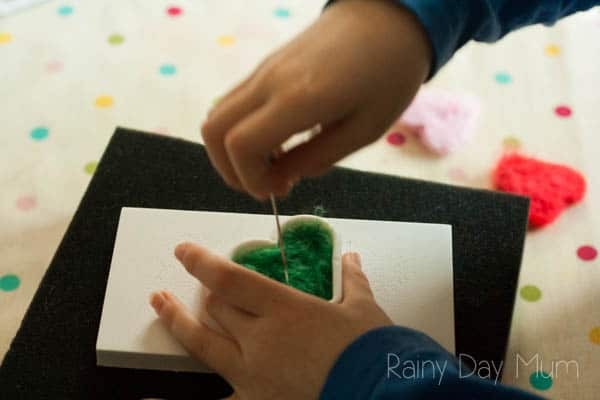 Over a year ago I brought a set of supplies for needle felting with the idea of trying the craft out myself and then introducing the kids to this handicraft. This week I finally got the equipment out and for this weeks theme for early elementary (key stage 1) learning theme of Valentine’s Day I decided it was as good a time as any. 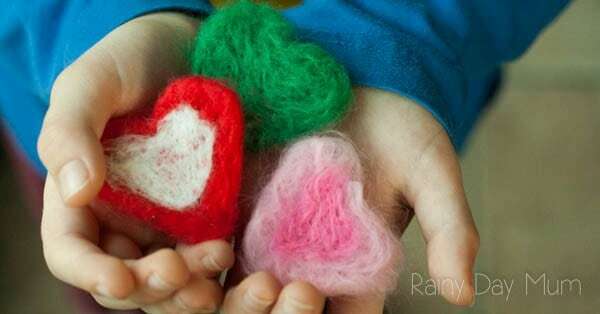 So we created some Needle Felted Hearts ideal for Valentine’s Day. 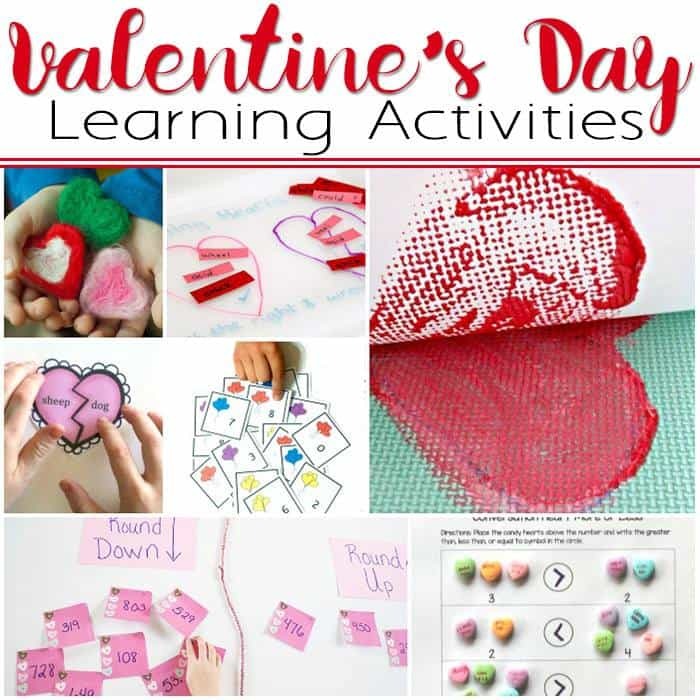 Please check out the end of the post for other Valentine’s Day themed learning activities for early elementary aged students. We have included affiliate links to products we used to create these hearts. If you purchase through the links we may earn a small commission. My kids are almost 5 and 6 and I did this one on one with the kids instead of as a group activity the Needle Felting Tool is extremly sharp and I wanted to make sure that we didn’t have any accidents of stabbed fingers. Have a look at our Needle Felted Robin and Penguin both ideal Needle Felting projects for Beginners. 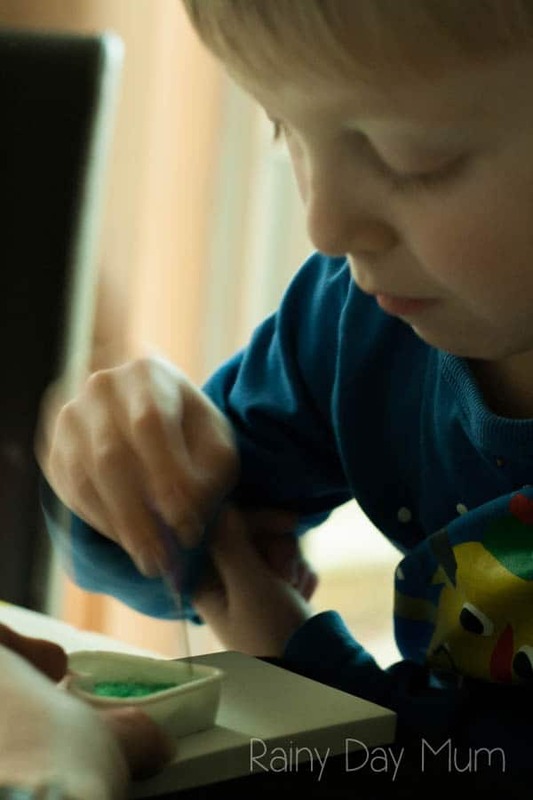 Reading about Needle Felting in craft magazines and on notices in one of our local craft stores I realised that using a cookie cuter would be an ideal way to start with the kids and we had a small heart one which would be perfect for the activity. Start of with taking a small section of the wool roving and then tear it up breaking up the straight edges and creating soft ends to the wool. Pack the heart cookie cutter with the wool roving. Then take the needle felting tool and stab the wool – it has barbs on it so that it will start to force the wool together compacting it. Take off the cookie cutter and the heart and turn over to do the other side. Stab until you have a felted sheet. 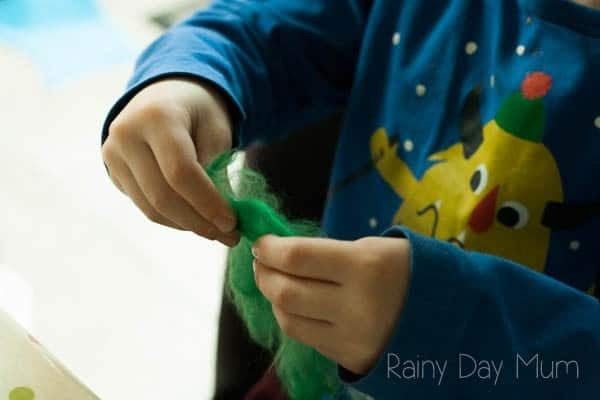 – I tried this as well as the kids first so that I could teach them and it was really relaxing to stab the wool down and watch it come together. 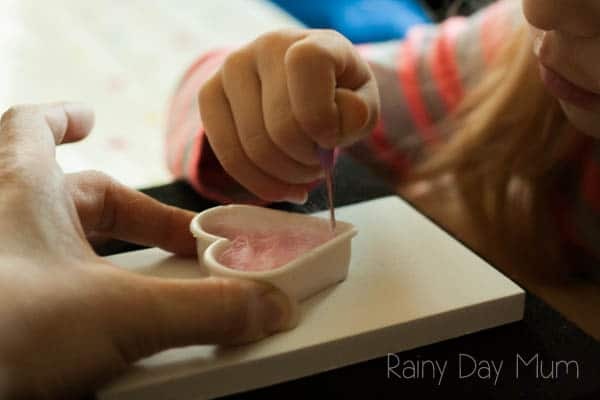 The hearts – my youngest is struggling at school at the moment and she took her heart with her in her lunch box to remind her of me and hold when she was feeling upset. My eldest decided to be inspired by our Virtual Book Club for Kids Author Dr Seuss and Create a Green Needle Felted Heart for the Grinch. 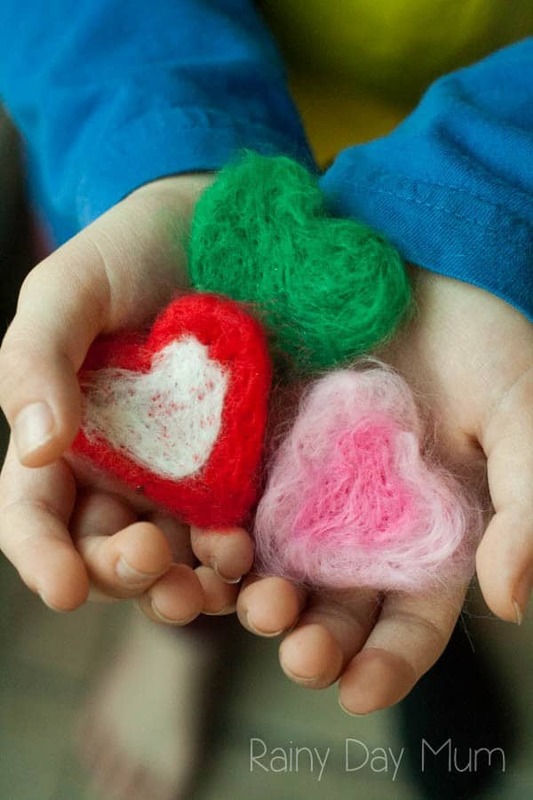 See how we adapted this Needle Felted Heart into a Heart Book Mark over on Red Ted Art. Cool! I love how it came together–we might need to get some felting supplies now! 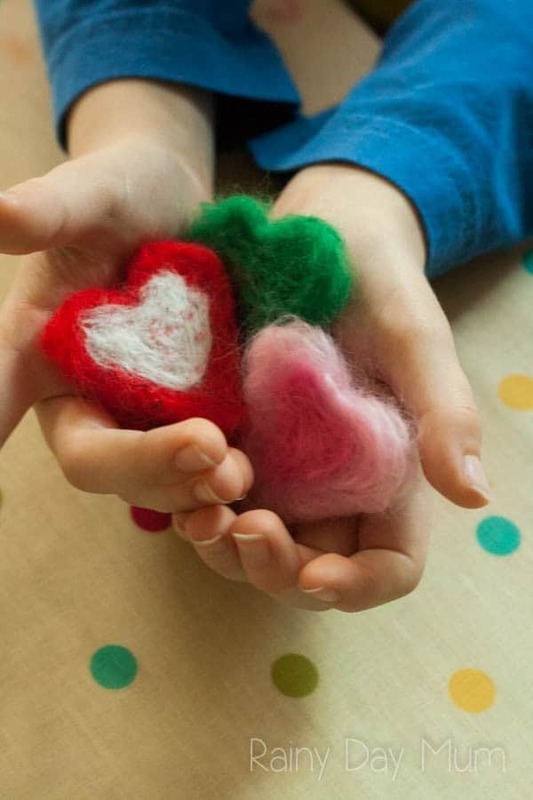 We have never done needle felting before– looks lovely!